LONDON -- British police are investigating six claims of sexual assault or assault by Academy Award-winning actor Kevin Spacey, three more than previously disclosed. British media reported earlier this year that London's Metropolitan Police force was investigating allegations against the former “House of Cards” star. Police in Britain don't name suspects until they are charged. 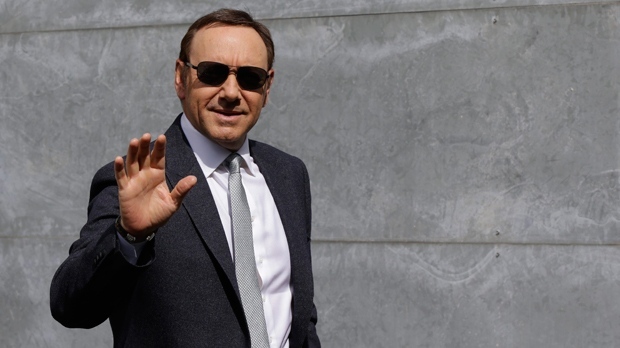 Asked about Spacey, the force did not identify him by name but said Wednesday that detectives were investigating allegations of sexual assault alleged to have taken place in London's Westminster borough in 1996 and the western England city of Gloucester in 2013. The force says three other complaints of sexual assault and one of assault by the same suspect have been made. Spacey was artistic director of London's Old Vic theatre for 11 years until 2015.